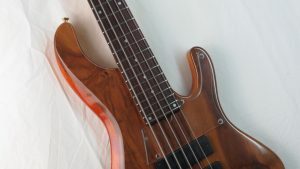 ROOTbass is always being made with one purpose, and it is to be a working bass. It does not mean that it won’t be as patiently treated as any other WG instrument, and, does not mean it won’t have any of the fine details and options possible. 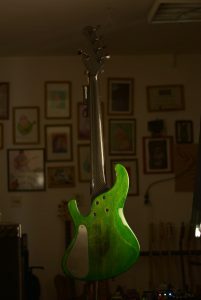 It means it is a best friend that you would call for a chill or a furniture moving. 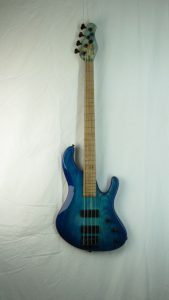 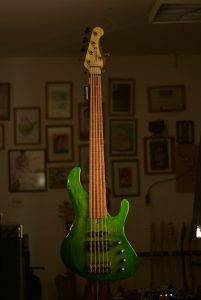 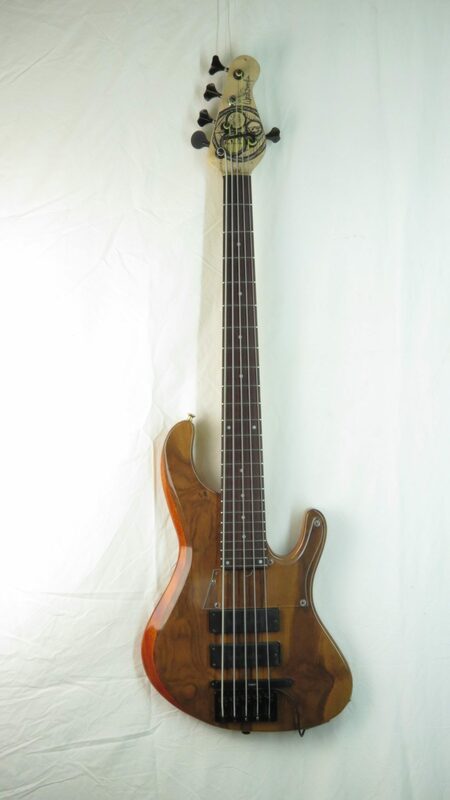 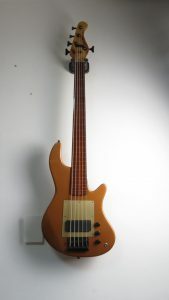 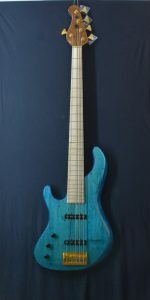 Special version of ROOTbass is a fretless version. It has been made unchanged for many years and still is. 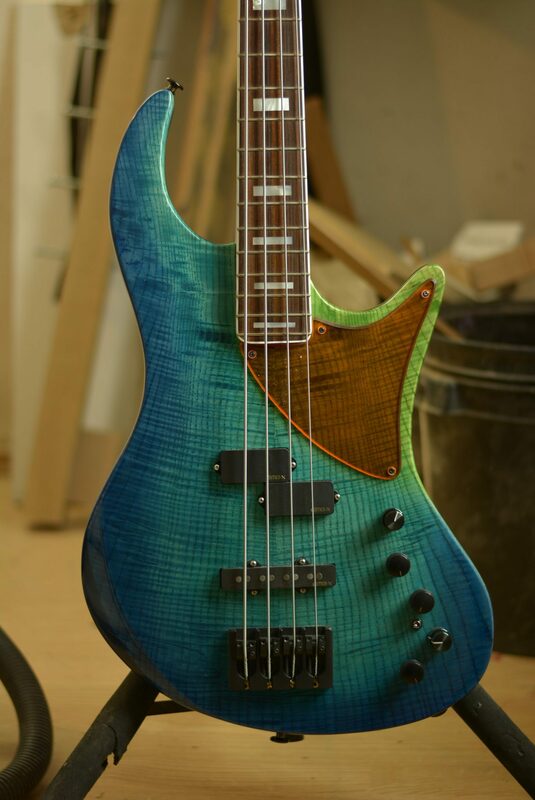 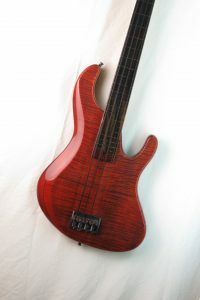 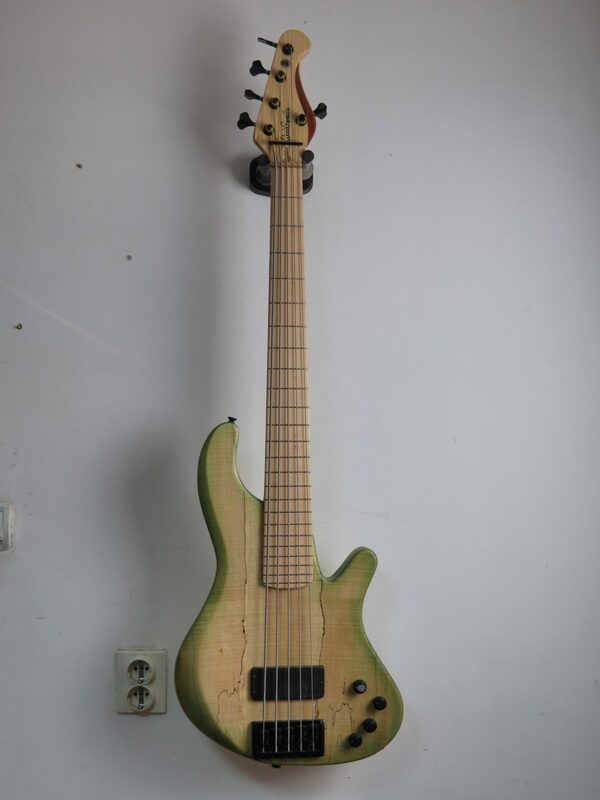 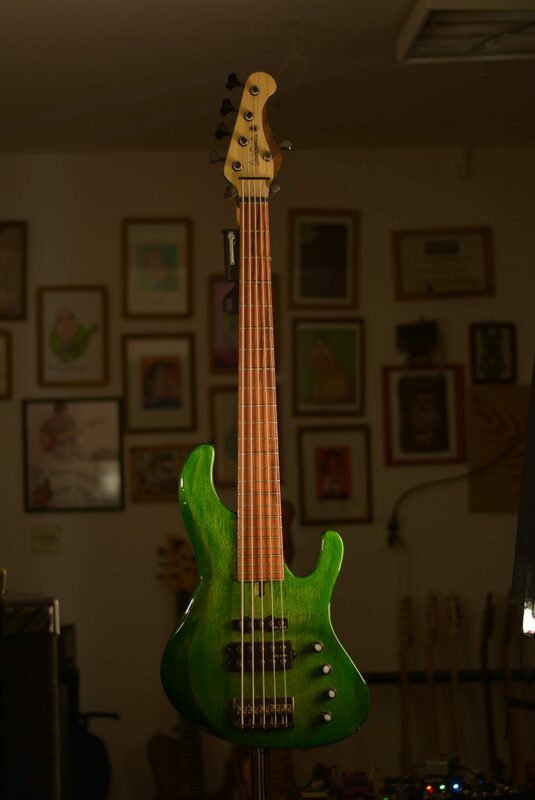 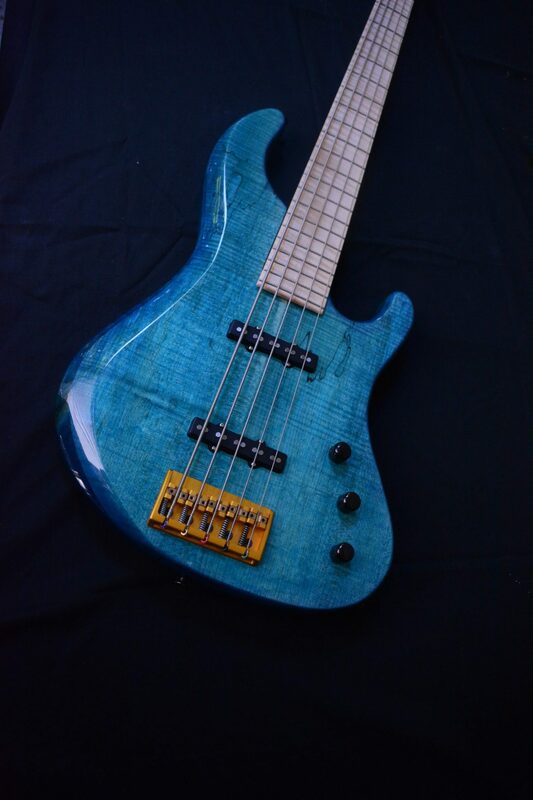 Combination of woods we use for it became a standard, used by many professionals and holding a side of many beautiful fretted basses. 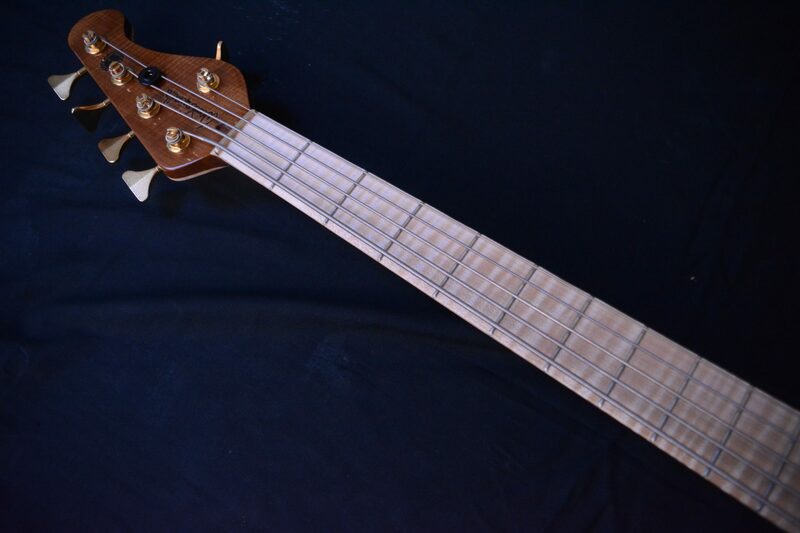 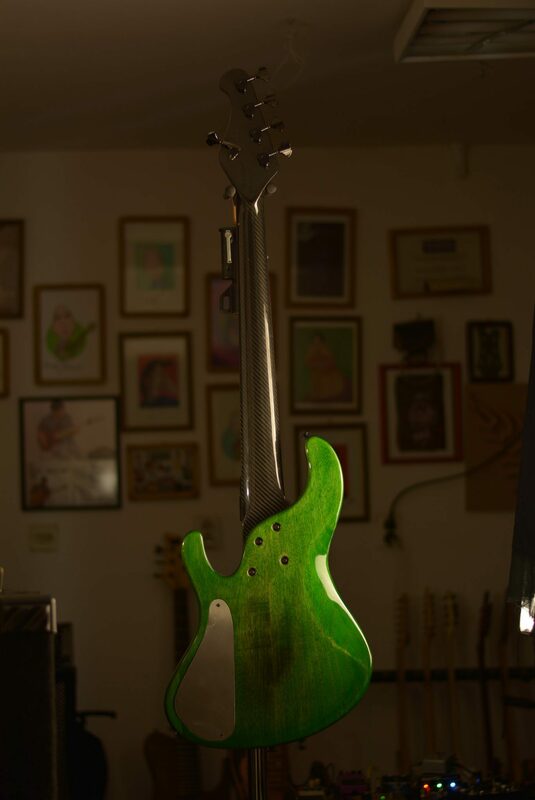 Also, a fretless option turned onto a guitar. 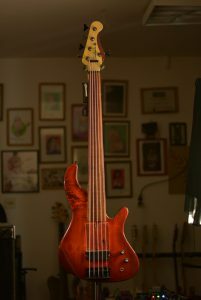 Thanks to Alek Darson it started holding its own ground.